I'm in Seattle. At a writing conference. And, as is the case whenever I attend a writing conference, I don't actually get a chance to do much writing. So I'm sitting in a little cafe--Le Panier--along the cobbled street of the Pike Place Market, where the smells of coffee and seafood and the sounds of a busking accapella group and the whir of footsteps and ferry horns coagulate. And I'm going to write. Just for a moment. Because I want to immortalize this experience; I want to write it out so as to understand it; and, of course, I want to share it with you, my blog-o-sphere family. I am with my writing friends. My Terrace Dwellers. Those dear souls to whom I don't have to explain a thing. Because they understand. Because, in the words of Browning, our hearts beat "each to each" and the company of each other is enough. Yet we can talk writing and literature and aesthetics and dreaming and never tired of any of it. 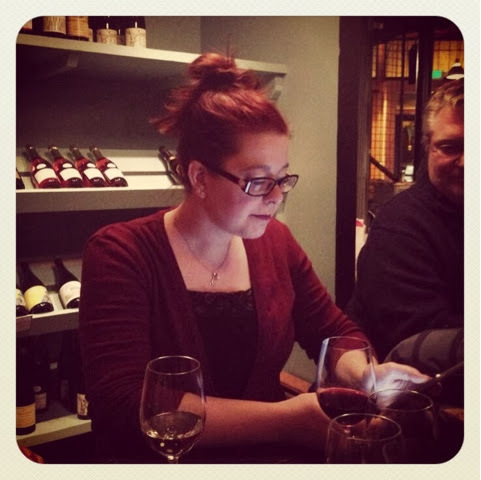 Last night each of us presented a reading at a quaint wine bar called Bar Fer'nand. Charming ambiance. Relaxed atmosphere. Blissful experience. This morning a panel of comp teachers inspired us to keep flirting with the impossible and press forward in our teaching of writing. 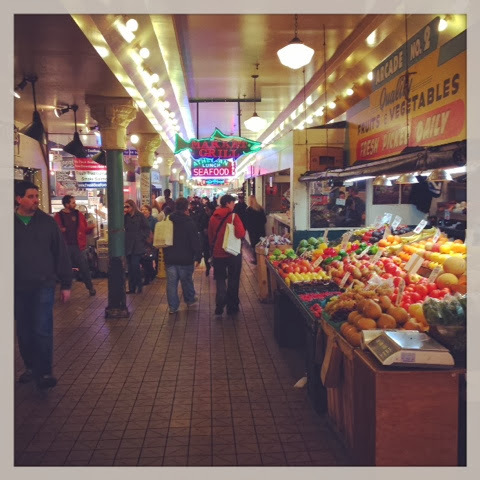 This afternoon we lunched at the Pike Place market, savoring smoked salmon chowder and comfortable conversation. Into the original Starbucks we wandered and stood in the tourist line to hear our name called--Anna! Skinny Caramel Latte! 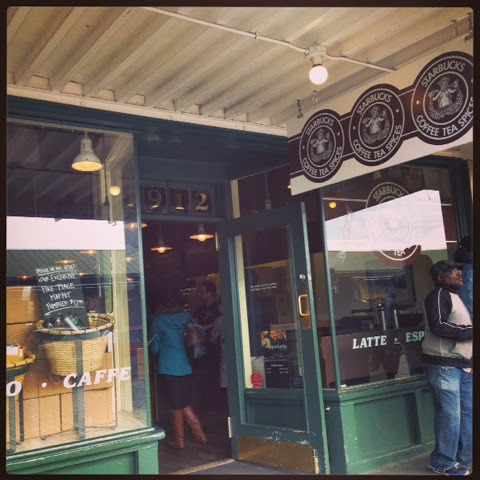 Because Original Starbucks. Because coffee. Because skinny. Tonight we anticipate sushi and the brilliance of Annie Proulx. And onward and onward and onward through the weekend. So hopefully you get a taste of the loveliness, the companionability, the delight I'm feeling at the moment. And I'm wishing for each of you, too, an oasis of friends and fun and froth this week. it's sounds wonderful, like you're having a grand, yet relaxing, time. enjoy it for all it's worth. 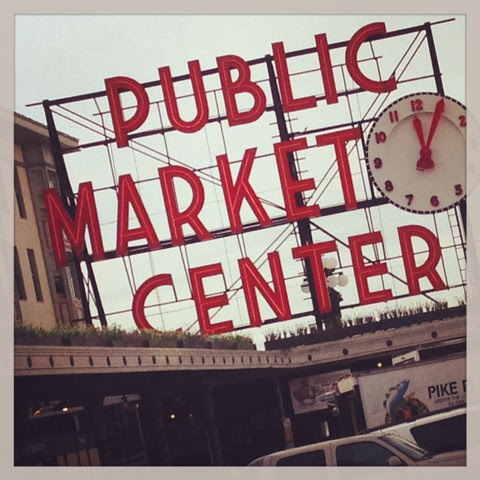 Oh, Seattle...I haven't been there in many years. I hope you'll share your experiences when you get home. Please be safe. The weather here is frightful, too.